Elisabeth Däumer’s post Context for Waterlily Fire rightly points out the theme of interrelatedness that runs through the Living Archive’s featured poem this month. When I first read “Waterlily Fire,” I was struck even more by the idea of impermanence and change, which is the actual bridge (to use Rukeyser’s image) that might be relating everything together in this poem. As I wrote in the post Synecdoche, West Virginia, Rukeyser wants her readers to see a kinship between localized disasters, whether it’s the Spanish Civil War or an outbreak of silicosis, and various other crises at home and around the globe. In relating the loss of Monet paintings to an urban upbringing, feminist themes, and anti-war rallies, “Waterlily Fire” is a poem that opens at the end (like a flower, sure) and invites readers to relate the poem’s content to current events and to their own personal struggles. The last line, “I speak to you You speak to me” invites us to engage, keeping the poem alive and mutable, like the “city of change,” rather than monolithic in its genius observations. This is generosity on the part of the author and shows a modernist interest in reader interpretation and a distrust of rigid, artist-imposed meaning. I have not yet taught “Waterlily Fire” but am thinking of working it in this year. Likely, my creative prompt would ask my class to “speak back” to this poem, to consider the themes of interrelatedness and ephemerality, and to append a sixth section to this work. This poem invokes the idea “Whatever can happen to ________ can happen to ________” four times; I would present students with this formula and ask them to adapt it to their vignette. It’s difficult to read section two, especially as an American, and not think of 9/11: “Whatever can come to a city can come to this city,” and “Towers falling. A dream of towers.” But perhaps students would connect our recent economic hardships to those of the past (consider Rukeyser’s equally-prophetic stock market crash poem “Paper Anniversary”) or to what other countries are experiencing, especially in Europe. Many of my students have recently left home and high school, so perhaps they would connect the end of that era of their lives with other losses and culminations. I would probably write about Calvin and Hobbes or the last episode of Seinfeld… but that’s just me. Oprah would have trouble screaming at Tim O’Brien since his fabrications are so blatant – for example, book-Tim has a daughter and real-life-Tim does not – and because he has resisted imposing a genre label onto his most famous book. A real, unchangeable difference does exist between what might be called storytelling truths and statement-making truths—between what makes credible, if sweeping, sense in a story and what’s required for a close-knit metaphysical argument. Certain kinds of truths are convincing only in a narrative. The idea, for instance, that the ring of power should be given to two undersized amateurs to throw into a volcano at the very center of the enemy’s camp makes sound and sober sense, of a kind, in Tolkien; but you would never expect to find it as a premise at the Middle Earth Military Academy. The tale about the knife wasn’t true, but that kind of truth was not the most important truth now. And perhaps this phrase, “men of fact,” which appears throughout The Book of the Dead, is Rukeyser’s antithesis to the brilliant truth, her version of Herzog’s accountants’ truth, O’Brien’s happening-truth, Gopnik’s statement-making truth, or even Oprah’s truth. In Rukeyser’s case, it seems to be more insidious; the men of fact hold up the truth of numbers and dollar signs and stock quotes and blueprints at the expense of a worker’s truth, or a mother’s truth. 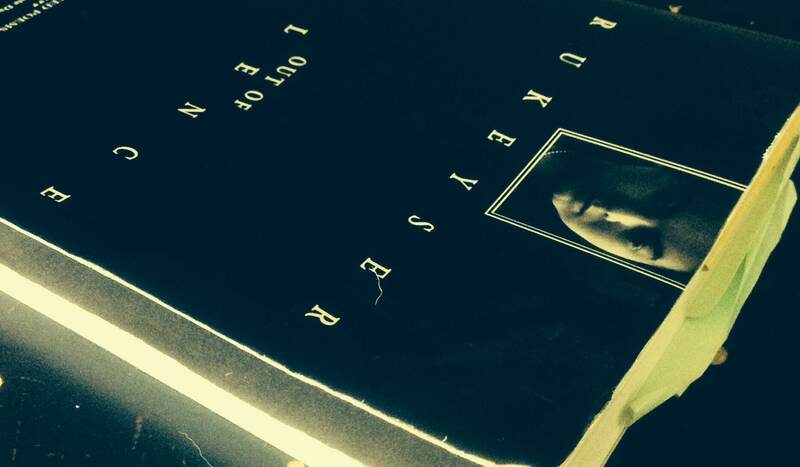 I would be very interested to hear of other texts that I might look at for my projected “True Lies” syllabus. The class would also deal with the ways we all fudge the truth whenever we sit down trying to write non-fiction; for example, exaggeration, privileging our own point-of-view, and dialogue we can’t possibly remember. There would also be a week or two on/of misinformation. My bio on the homepage for “Muriel Rukeyser: A Living Archive” states that I just completed a novel partly inspired by The Book of the Dead, and I wanted to use this post to relate how Rukeyser’s poetry has influenced my creative work. 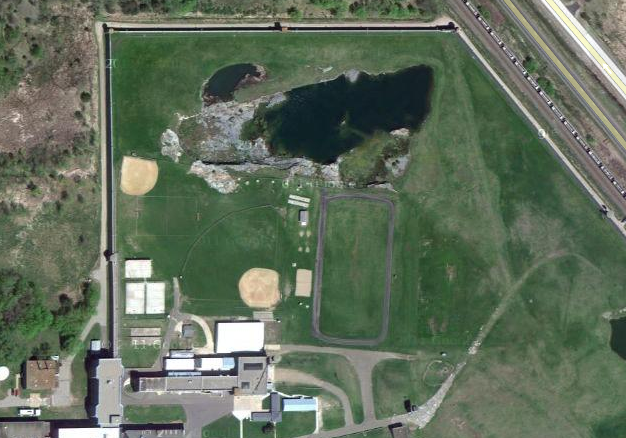 Back in undergrad at St. John’s University, I was lucky enough to be able to do volunteer work at the Minnesota Correctional Facility in St. Cloud, an institution with a very unique history. Most of my initial knowledge was word-of-mouth, and it disturbed me in a gut-level way that I found difficult to articulate. Pulling up to the mammoth structure, you can’t help but admire the prison wall – the largest granite wall in the world (other than some sections of the Great Wall of China), I’ve heard from questionable sources. Whether or not it belongs in the Guinness Book, the wall is three feet wide at the top, four feet at the base, and a mile and a half long. What’s truly interesting is that it was built by prisoners from granite mined within the prison yard. St. Cloud’s nickname is Granite City, and the Breen and Young Quarry was the very first to be established in Minnesota, this back in 1868. Twenty years later, the state purchased 240 acres of land, which included the Breen and Young, for the purpose of building what would become the St. Cloud State Reformatory. Forced through this crucible: a million men. who curse the air, breathing their fear again. disintegrated angel upon these hills. And maybe comparing Wechsler’s observations about the submerged tunnel and my uncanny vibes from the submerged crane give me another perspective on the objective correlative, one that gets at Elisabeth’s comment on my objective correlative post; namely, that these compounding images hit us on a pre-rational level, a feeling that further research and examination sometimes uphold. For, back when I first heard about the Breen and Young, it bothered me solely in an abstract way. I didn’t yet know about silicosis, didn’t consider that the conditions for inmate labor in the late 1800s probably weren’t better than those at Hawk’s Nest. While the work of Rukeyser and others has preserved the tragedy in West Virginia, I haven’t been able to find any real research regarding the inmate workers at the Breen and Young site. Perhaps you think that this is where I, Joe Sacksteder, sweep in and devote my life to resurrecting this history. Alas, my aspirations are that of a cowardly novelist, and it was far simpler to fabricate an exaggeration of what the history might have entailed… you know, so that responsible researchers might become interested and do the real work. The current novel I’m shopping around revels in the horror film convention of what I call the “research montage,” that moment three-quarters of the way through many horror films where the protagonists have to figure out what event from the past is continuing to plague them. My version of the Breen and Young became the historical locus of my characters’ research, the root of evil. But the real horror story would be the actual truth, the evidence itself – and that’s the power of objectivist literature at its best.